“STEM” is occasionally interpreted as a reference to the stem cell research boom, but the acronym (also written as “STEAM” or “STREAM”) actually refers to the academic fields of Natural Science, Technology, Engineering, and (Applied) Mathematics, and sometimes includes Robotics as well. These areas encompass a wide variety of occupations – everything from web developers, civil engineers, physicists, and biologists to educators in all of those areas. Clearly, the four primary STEM education fields are fast becoming some of the most important in the 21st century, making an education specifically for STEM all the more important. But what makes a STEM education? It all comes down to the teaching model. Whereas traditional models teach each subject separately, STEM education treats science, tech, engineering, and math as extensions of one another – a cohesive group that works best in real-world applications. Interest in these topics, however, has been declining in recent years, and according to the U.S. Department of Education, “it’s more important than ever for our youth to be equipped with the knowledge and skills to solve tough problems, gather and evaluate evidence, and make sense of information.” These are all skills that STEM education provides, increasing the importance of fostering interest in STEM from an early age and in a more diverse range of students nationwide. As technology advances and as computer literacy becomes a necessary part of a growing number of jobs (around 80% according to the National Science Foundation) education in STEM fields will become a significant asset. The U.S. Bureau of Labor Statistics (BLS) projects that between 2012 and 2022, a large percentage of STEM fields will experience greater growth than non-STEM fields, with a need for an estimated 9 million additional STEM-educated workers by 2018. STEM fields are also some of the most lucrative, with their workers earning about double the amount of those in non-STEM fields. But a big paycheck isn’t what’s going to get kids interested in the complex and often dense topics that STEM deals with. The key is that students must be interested in STEM because they want to be interested, not because they have to be. The best way to achieve that genuine interest is through natural curiosity, at least according to Mark German, the president of E-Line Learning at E-Line Media, who coordinates with The Joan Ganz Cooney Center at Sesame Workshop to create the National STEM Video Game Challenge. The Challenge, now in its sixth cycle, was first announced in 2010 as a part of the Obama Administration’s “Educate to Innovate” campaign, an initiative designed to get more students interested in exploring careers in STEM. On July 30, 2017 this years winners were announced. You can learn more about these winners here! “We recognized that students have a passion for playing video games,” German said, speaking about the Challenge’s inception. “And we wanted to shift students’ passion for video games into a passion for making and designing video games.” What many parents don’t understand, he explained, is that when they see their kids playing video games, they don’t appreciate the skills involved in not only playing those games but also in making them. Another goal has been to increase participation in girls and young women, a demographic that has been largely underrepresented in STEM until very recently, by working with organizations like the Girl Scouts and Girls Who Code. 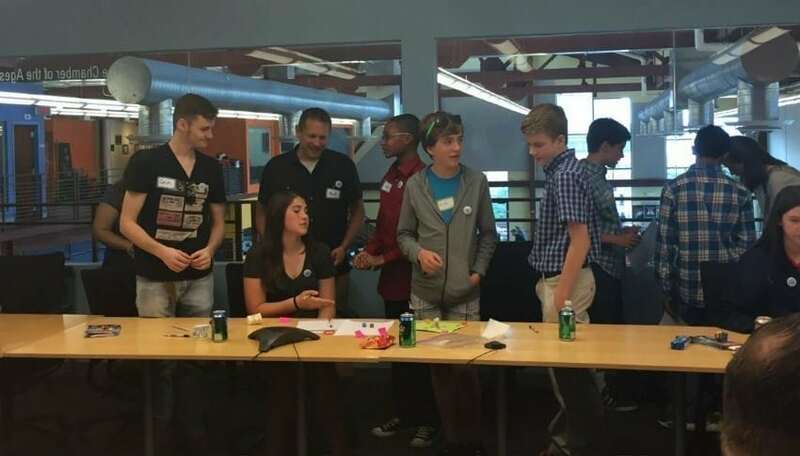 And this past year the Challenge invited game designers from HER Interactive, the makers of the Nancy Drew PC games, to a workshop in Seattle, WA. So what does this mean for the state of STEM? True, STEM education is suffering from a bit of a dry spell as far as new graduates. But there are organizations and initiatives out there, like the STEM Video Game Challenge, that are helping the cause. And, at least for now, we don’t have to worry about running out of STEM workers any time too soon.